Fantom-G is the first instrument equipped with Roland’s revolutionary ARX expansion-board slots. Each ARX board is a synth itself, powered by Roland’s proprietary SuperNATURAL sound technology for organic, emotional expression. Optimized effects and custom graphic interfaces are exclusive to each ARX board. 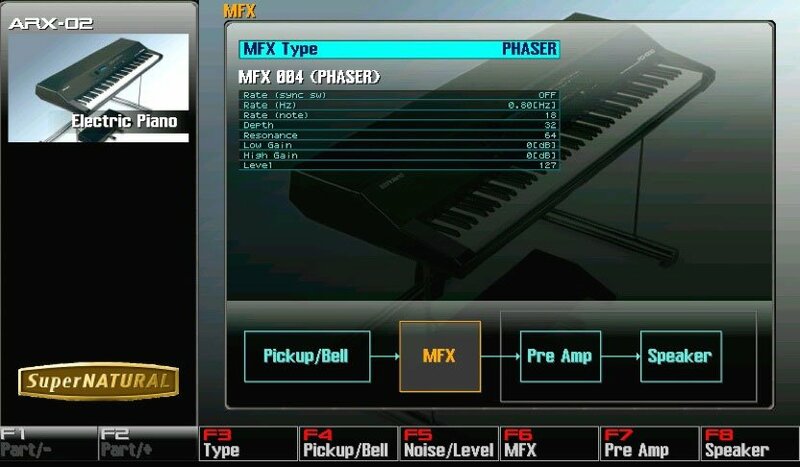 ARX allows you to create unique instruments with the highest-quality sounds and organic control. With stunning SuperNATURAL sound, detailed control, and ultra-realistic amp modeling, the ARX-02 Electric Piano Expansion Board puts new expression and realism into a classic instrument category. Change the position of the pickup, and choose from five amazing amp models with dynamic control. Volume and tone change smoothly and realistically as you play, based on the strength and weakness of the keyboard performance.